A new population of invasive European green crab has been found at Dungeness Spit, near Sequim, Washington, rekindling concern over the potential for damage to local marine life and shorelines. Staff and volunteers from U.S. Fish and Wildlife Service, which manages Dungeness Spit National Wildlife Refuge, captured a total of 13 European green crab over the past two weeks as part of the UW-based Washington Sea Grant Crab Team early detection program. These numbers indicate that the invasive crabs are more abundant at Dungeness Spit than at the two other known locations in Washington’s inland waters. 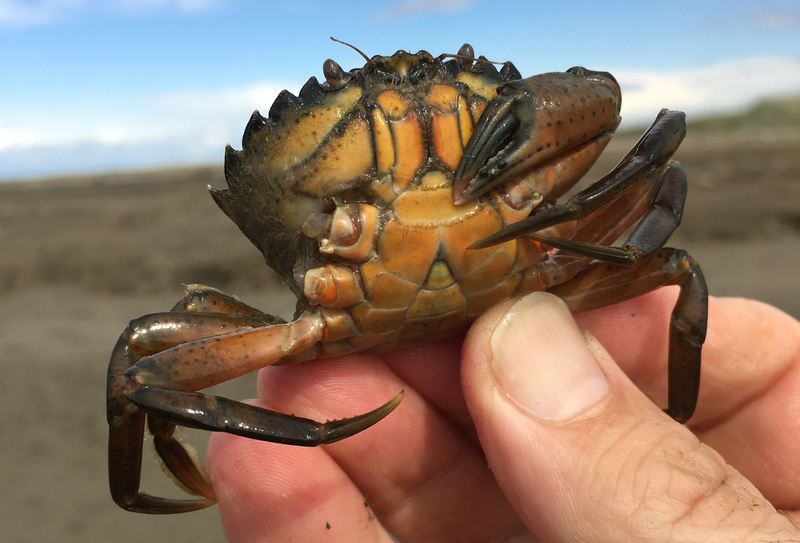 The first discovery of this globally damaging invasive crab in Washington’s Salish Sea was made by Crab Team volunteers last August on San Juan Island, followed quickly by a detection at the Padilla Bay National Estuarine Research Reserve, near Mt. Vernon. In both cases, rapid-response trapping and removal by a joint-agency team showed that the crabs were present, but still very rare in those locations. Experts immediately responded to the initial detection with a rapid-response trapping effort and are currently working on a plan with local stakeholders for ongoing response and removal efforts for the area. “Directly addressing the threat of green crab requires both early detection and rapid response, with the goal of finding isolated populations when they are still rare and reducing or eliminating them,” said Allen Pleus, the Washington Department of Fish and Wildlife’s aquatic invasive species unit lead. European green crab is one of the most globally successful invasive species, and established populations are problems in Australia, South Africa and the east coast of the U.S. In places where the crab has become abundant, it has been blamed for damaging shellfish harvests and decimating sea grass beds. Research on the west coast has indicated that native organisms such as shore crabs, young Dungeness crabs and shellfish could be harmed by invasive green crab. The nearest known population of green crab to Washington state is just across the Strait of Juan de Fuca, west of Victoria, British Columbia, in Sooke Inlet. 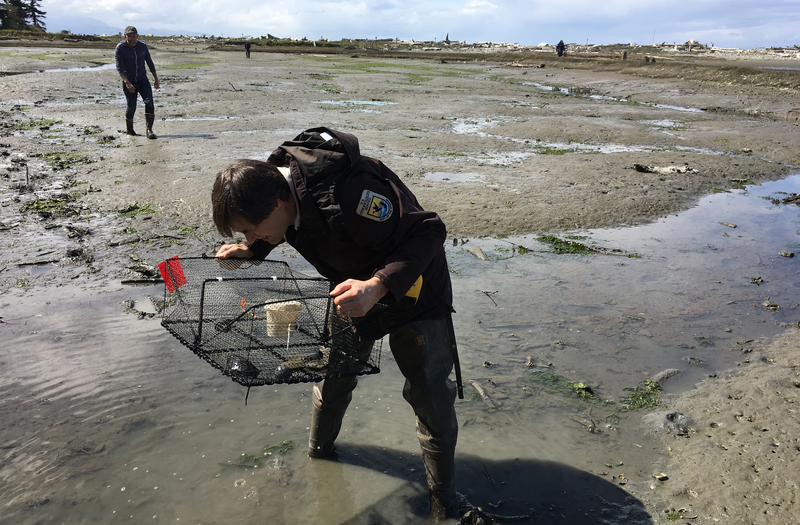 The sites at Dungeness Spit are part of the Washington Sea Grant Crab Team’s rapidly expanding early detection network, which currently numbers 36 sites, maintained by volunteers, tribes and agencies. Concerned citizens can help by keeping a lookout for European green crab when visiting salt marshes and pocket estuaries. 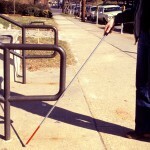 For information on how to recognize the crab and likely places to look, visit the Crab Team website: wsg.washington.edu/crabteam. Anyone who thinks they have found a green crab should leave the crab in place and email photographs to the Crab Team at crabteam@uw.edu.